Melanie Authier’s canvases bring viewers into a caterwaul of form, but also of competing histories. Citing High Modernist Abstraction in both her hard-edge and gestural painting, Authier positions herself at the interstices of a visual contradiction. But other binaries figure in, as well: the synthetic and the organic, the technological and the natural, flatness and depth, the atmospheric and the geological. Dynamisms mingle and co-exist in an exchange that stretches the limits of their allusions. “I believe my work references and, at times, wrestles with the after-burn of painting’s past, art history with a capital ‘A’,” she reflects. 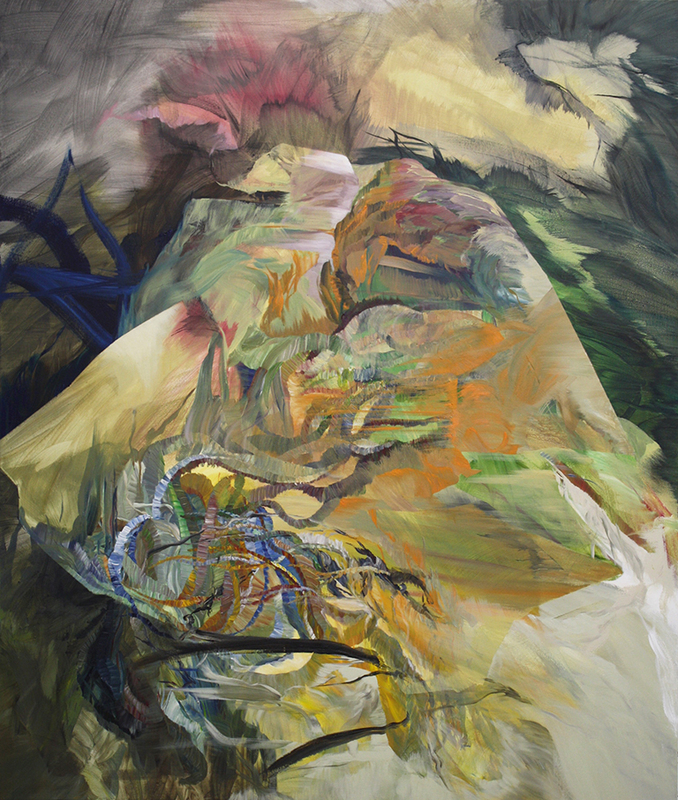 “So my preoccupying question is, ‘Where do we go from here?’” With a dialectical approach that roots down into the brush, each work “sets up a problem,” with Authier working through the possibility of irresolution as her response. As such, her paintings churn up art’s freighted histories, with Authier shifting her weight between chaos and control. The Musee Regional de Rimouski will be the seventh and final stop of Authier's national touring solo exhibition. This exhibition curated by Robert Enright foregrounds Authier's recent works on canvas as well as works on paper. This tour is accompanied by a bilingual catalogue that includes an introduction by Michelle Gewurtz, extended interview with Robert Enright, and essays by Sky Goodden, Sarah Milroy and Ola Wlusek. See Authier's work "Mound" in this inaugural Ottawa Art Gallery group exhibition. 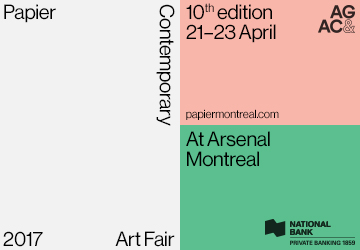 See Authier's new works on paper at Papier Art Fair at the Georgia Scherman Projects booth. Goodden, Sarah Milroy and Ola Wlusek. Fair, held at the Metro Toronto Convention Centre in the city’s downtown core. Robert Enright, and essays by Sky Goodden, Sarah Milroy and Ola Wlusek. Enright and foregrounds Authier's recent canvases as well as works on paper. View Authier's recent work at Georgia Scherman Projects booth # A02. business professionals and collectors for this special evening. to exclusive activities, including visits to private and corporate collections. Wlusek. The Thames Art Gallery is one of 7 confirmed venues across Canada. exhibition is centred around two key works by renowned Canadian artist Emily Carr.